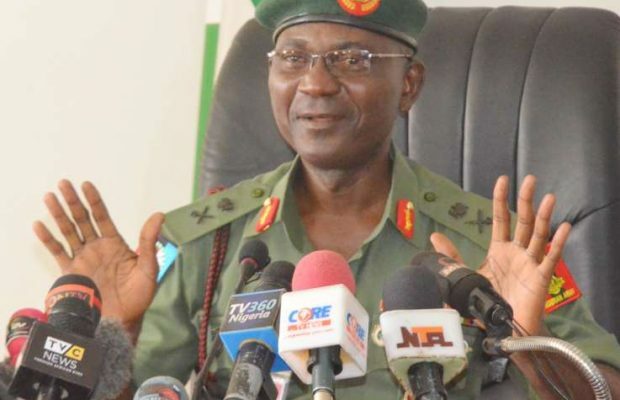 Defence Headquarters on Friday assured Nigerians that their lives and property are safe and secured wherever they choose to reside in the nation. The Director Defence Information Maj.-Gen. John Enenche gave the assurance in a statement, in reaction to the October 1 ultimatum by Arewa youths to Igbos residing in the North. Enenche said that this followed “so many requests in the recent past, to know from the military about the safety of Nigerians living in parts of the country, other than their aboriginal habitats. “As such, it behoves on the Defence Headquarters to reassure the general public that all lives and property in Nigeria are secured and safe at any location. “Thus, the Armed Forces of Nigeria are constantly on surveillance, in collaboration with other security agencies, to curb acts capable of distorting the peace”. The defence spokesman, appealed to the general public to “report suspicious movements and any act that point to creating any situation of insecurity to lives and property to the nearest security agency. He also urged the public to reach the Nigerian Army Call Centre, short code 193 and email:na.callcentre@army.mil.org, in case of emergency. “The Armed Forces hereby reaffirms its commitment to protecting the lives and property of all Nigerians living in any part of the country. “Therefore, all should go about their normal life wherever they are living without fear or intimidations,” Enenche added.